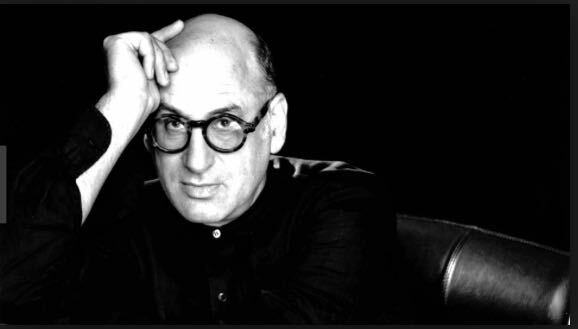 Nyman, who is unable to attend, will be honoured as the recipient of the 4th Wojciech Kilar Award during tonight’s opening concert of the 10th Krakow Film Music Festival at the NOSPR Concert Hall in Katowice, which will be repeated Wednesday night at the ICE Kraków Congress Centre. The Polish National Radio Orchestra conducted by Belgian maestro Dirk Brossé also will perform Nyman’s “String Quartet No. 3”, from his score from “The Piano”, arranged by Nikiforos Chrysoloras. Previous honourees were American Oscar-winner Elliot Goldenthal, French Oscar-winner Alexandre Desplat and Canadian Oscar-winner Howard Shore. The Kilar Award is named for the late Polish conductor whose prolific film work included Francis Ford Coppola’s “Bram Stoker’s Dracula” and Roman Polanski’s “The Ninth Gate”. Coincidentally, he also scored Polanski’s Oscar-winning “The Pianist” and Jane Campion’s 1996 film “The Portrait of a Lady” while Nyman’s best-loved movie score is for Campion’s “The Piano”. Notoriously, it was not nominated for an Oscar for his score for “The Piano” although the soundtrack has sold more than three-million copies. The music for the picture is dissimilar, however, to his celebrated scores for British filmmaker Peter Greenaway’s films such as “The Draughtsman’s Contract” (1982), “A Zed and Two Noughts” (1985), “The Cook, the Thief, His Wife & Her Lover” (1989) and “Prospero’s Books” or Andrew Niccol’s “Gattaca” (1997), Neil Jordan’s “The End of the Affair” (1999) or Michael Winterbottom’s “Wonderland” (1999). Not to mention his equally acclaimed operas (such as “The Man Who Mistook His Wife For a Hat”), multi-media work, books and 40-year career with the Michael Nyman Band. The concerts, Pendericki2Cinema, are part of the City of Krakow’s celebrations of Krzysztof Penderecki’s s 85th birthday and they will feature several of the celebrated Polish composer’s works. Elliot Goldenthal also will be on hand for the premiere of his “Concerto for Trumpet and Strings”, which is dedicated to 18th century Polish hero Tadeusz Kościuszko. This entry was posted in Film, Krakow Film Music Festival, Music, News and tagged 'Concerto for Trumpet and Strings', Dirk Brosse, Elliot Goldenthal, Holly Hunter, Jane Campion, Krakow Film Music Festival, Krzysztof Penderecki, Michael Nyman; KFMF18, Nikiforos Chrysoloras, Peter Greenaway, Polish National Radio Orchestra, Tadeusz Kościuszko, Wojciech Kilar Award. Bookmark the permalink.